I had heard of this resort some time back , and that time only it was added in my bucket list. 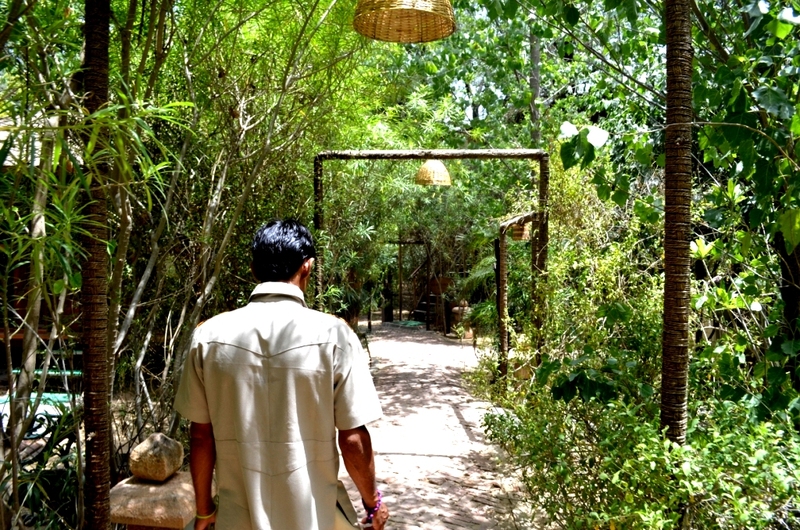 On this trip to Jaipur i was going to visit it just to do the Reiki of the resort. Just 1hr Before Jaipur , not far that it cant be stayed when visiting Jaipur , Its location gives it a feasibility that one who is on the trip to Jaipur and want to live in Different Luxurious Resort then he can choose this. Yes , I would rate it as a Different Luxurious Resort , though there are many luxury resorts and haveli’s in Jaipur but it has got a edge above all. 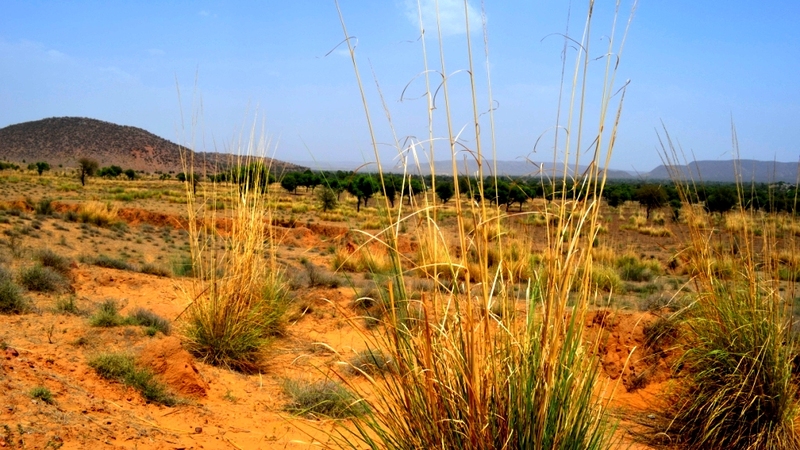 Travelling just 0.9 km down the lane from the New Delhi – Jaipur highway and taking a off road crossing these barren land , i was bit confused whether i am going right but the sign boards were guiding me and i was moving forward leaving my confusion aside. Little bit of Rain had added some green colour to the picture otherwise it had been the typical Rajasthan brown shade which would have been giving it a proper barren look. After some 1 km happen to see the guard sitting, and stopping us for the entry . Still there was no sign the resort , he guided us and told just to go straight but keep your car speed below 30km/h . It surprised me more , what am i going to find in this place which would come in my way. Tree House , Bamboo covered entrance of the Resort. Atlast after some 10min i was in front of this great , beautifull mansion style made hut. 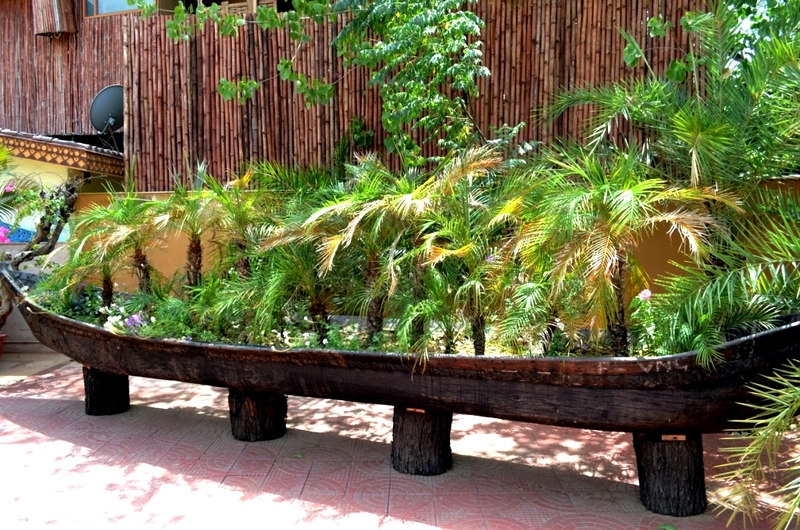 It was the entrance of the Resort. Well decorated , bamboo’s giving it a all together different feel. On the Entrance this piece of wood shaped like a boat camouflaging small plants in it had given the signs that i was about to visit something which is going to surprise me in every sense. They had arranged one staff member for us to take us for a long walk . Yes , it had become a long walk after we had returned as i was tired , this resort is awesomely huge and beautiful. 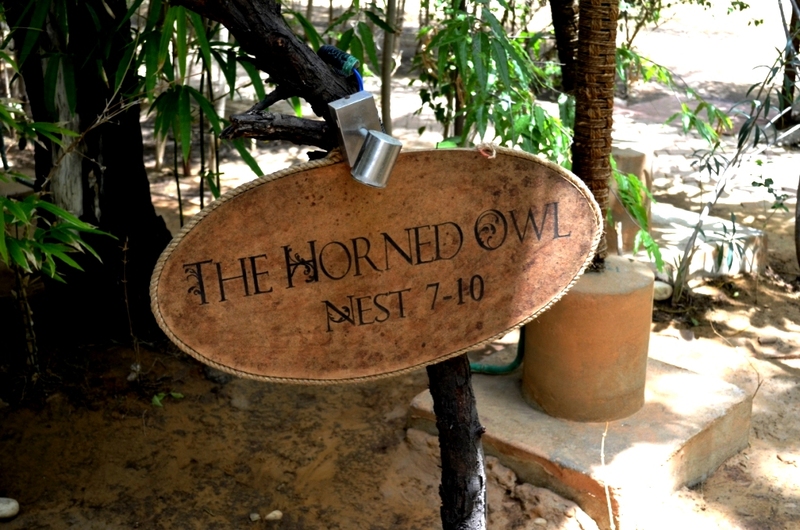 Atlast i was in the actual Tree House for which his name has been coined. Tree coming in from the floor and passing through the roof , just on your side of bed you will see a tree passing and this was something amazing. 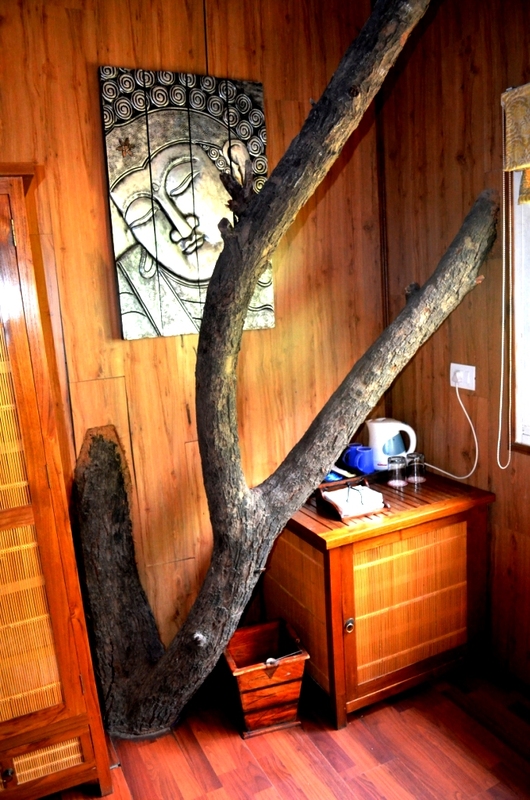 Have seen tree houses at many places and in sanctuaries it is very common but this something very different , air conditioned room with bathroom attached with all the best of facilities available. Though walking on a wooden floor always gives a risky feeling but here it was not a issue , a whole flat or can say 6 separate deluxe rooms have been settled on well set group of some 4-5 tree’s and bamboo shoots giving them support as well from the down. Every apartment has been named after different species of bird. As was told some 24 species of birds can been seen here. 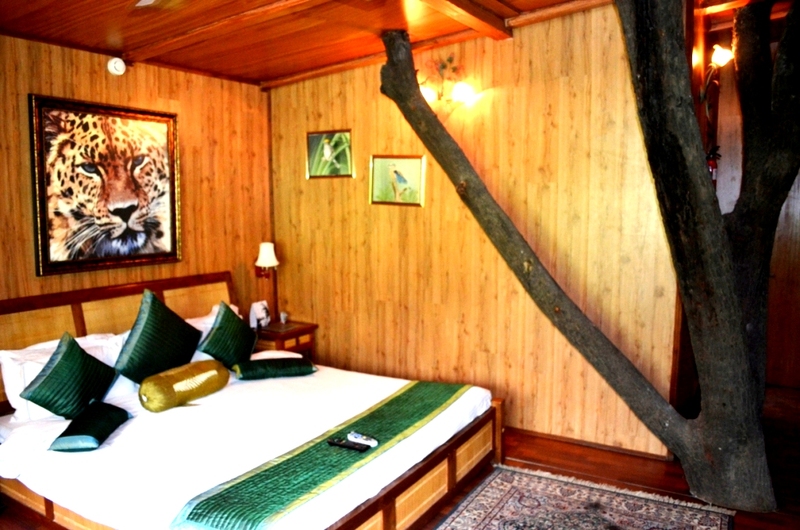 Tree house has been built on such a height that you just have too sit on your room window and the whole tree is below the window and one can easily see the flora and fauna of the resort. One can never even imagine that they are staying in a place which almost in the middle of barren land of Aravali’s. 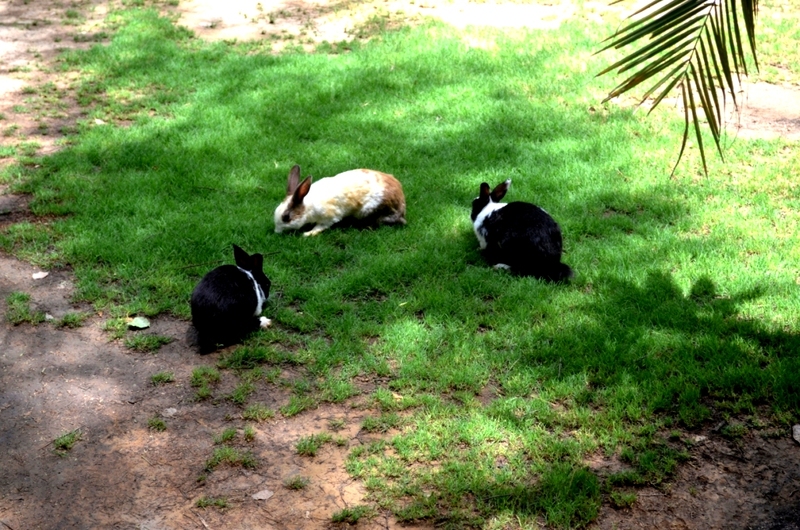 Saw these Rabbits when we stepped out and came down from the room. They even have duck pond and peacocks and hyena sound is very easily heard in the mornings. 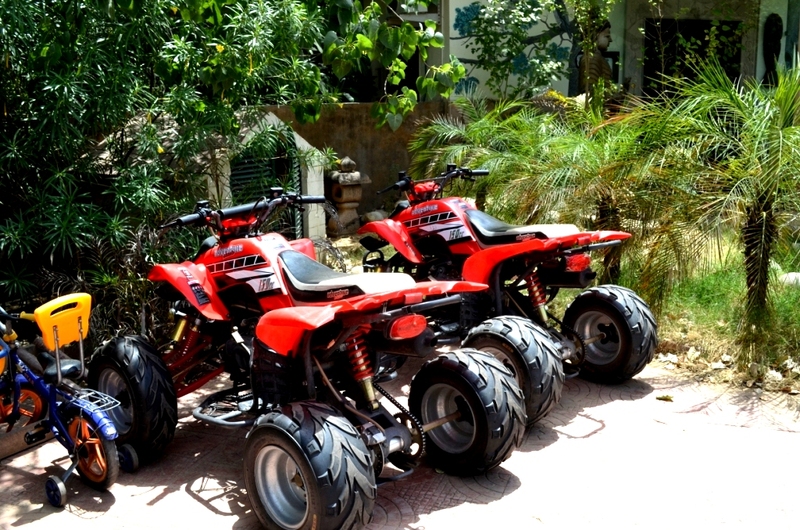 Keeping the activities section in Mind tree house management has got Dirt bikes and cycle safari for the visitors. A separate sports area having badminton and tennis court was there , very nicely designed soothing swimming pool and in the end they provide Jungle Safari also. On asking they claim if your luck favours and the season is right then one can see leapord also in the jungle safari. But a claim is just a claim unless it is proven right so i would say this is what they claim , proving it right is in visitors hand. 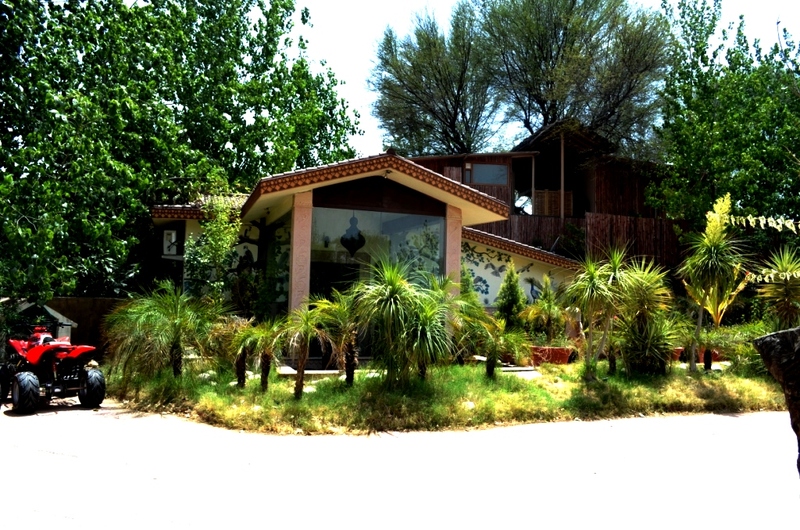 An extremely well thought designed and well maintained resort. Any one visiting Jaipur or nearby , its the best place to stay if one wants to stay in luxury style being not far from the main Jaipur city .